(c) deliberately inflicting on the group conditions of life calculated to bring about the physical destruction, in whole or in part, of the group. Conspiracy to commit genocide is understood in international law as a concerted agreement to commit genocide which may be inferred from the conduct of the conspirators. The evidence to support the charge of genocide can be based on circumstantial evidence as well as direct evidence. Further, the concerted or coordinated action of a group of individuals can constitute evidence of an agreement. Finally, US Secretary of State Rex Tillerson, during an interview on January 17, 2018 at Stanford University with Condoleeza Rice, stated approvingly in reference to deaths aboard Korean fishing boats going out to sea in winter without necessary fuel: “they [the North Koreans] are feeling the effect of our sanctions.” This is direct evidence that the United States is intentionally creating conditions that will cause the death of Korean civilians on a large scale in order to achieve US objectives. Rhetorical excess (“fire and fury”) is one thing, but this connected series of statements, including a threat of total destruction, constitutes a threat of genocide. Threatening genocide is, arguably, not a crime, but “public incitement to genocide” is explicitly included as a crime in the Genocide Convention to which the US is party. Already, therefore, by publicly and passionately promoting genocide as a policy option, Mr. Trump and Mr. Mattis have entered dangerous territory legally. Since the US is party to the Genocide Convention the provisions of the Convention have the status of US law. To successfully convict someone of genocide, proof of intention is required. The prosecution needs to show “intent to destroy”. This is usually a challenge for the prosecution since perpetrators seldom telegraph their destructive intentions to the world in advance. But, as two genocide scholars have already argued in the Washington Post, the US leadership has done precisely this: it has telegraphed its intentions. If, they point out, Mr. Trump does what he has threatened, prosecuting him for genocide would take a straightforward path. The country of the undersigned, Canada, is a member of the ICC and under its jurisdiction, and Canadian leaders and officials have individual responsibility for any crimes committed under the Statute. Since there is clear evidence that the crime of genocide is being discussed openly and that plans are being made to carry it out against the people of the DPRK by US leaders and since, in these circumstances and with full knowledge of these threats and plans, US allies, including Canada, are cooperating with the US government and meeting to discuss actions to be taken against North Korea, and since these allies of the US appear to be ignoring international law, the Charter of the United Nations and the Rome Statute, it is necessary that an investigation be conducted by your office to consider the evidence and to prosecute if there is evidence of a crime. The United States of America is no longer a member of the ICC. However, it is bound by the Charter of the United Nations to keep the world peace, is party to the Genocide Convention, and was a sponsor of the International Criminal Court. 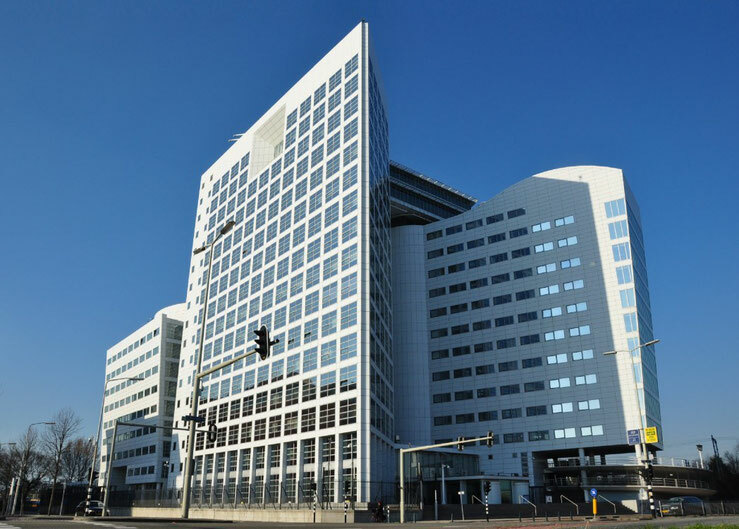 Moreover, the ICC has not only an investigative and prosecutorial role, but also the role of informing the world what criminal conduct is when it is happening; and it has a duty to make a public statement condemning it when it happens. It chose to do so with regard to Kenya for example. It should do so in the current crisis.